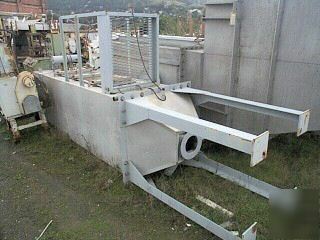 Pulse type dust collector, fabric filter 103 sq. ft. Dust collector has 3 pulse type valves with (9) 5" diameter 8' long bags. House is 3' square x approx 16' overall height. No blower, would require approx 800 cfm. Collector is unused.